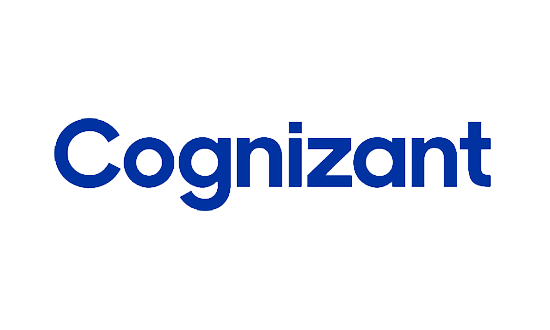 Cognizant is one of the world’s leading professional services companies. Cognizant is in the business of helping their customers adapt, compete and grow in the face of continual shifts and disruptions within their markets. Cognizant helps customers apply technology to transform their businesses, operating, and technology models, allowing them to achieve the full value of digitizing their entire enterprises. This is referred to as being “digital at scale.” When implemented, it enables customers to achieve more efficient and effective operations while reshaping their business models for innovation and growth. Cognizant tailor their services and solutions to specific industries and use an integrated global delivery model that employs customer service teams based at customer locations and delivery teams located at dedicated global and regional delivery centers. Cognizant have aligned their digital services and solutions into three practice areas across their four industry-oriented business segments, to be aligned with their clients' needs and the parts of their enterprise they need to transform. Cognizant Digital Business: Digital business practice works with customers to envision and build human-centric digital solutions, fusing strategy, intelligence, experience and software to drive industry-aligned transformative growth. Cognizant Digital Operations: Digital operations practice helps customers re-engineer, digitize, manage and operate their most essential business processes to lower operating costs, improve user experiences and deliver better outcomes and top-line growth. Across the practice, Cognizant are creating automated, data-driven platforms and industry utilities. Cognizant Digital Systems & Technology: Digital systems and technology practice helps clients create and evolve applications, platforms and infrastructure that meet the needs of modern enterprises. Cognizant work with customers to simplify, modernize and secure IT infrastructure and applications by leveraging automation, analytics and agile development, allowing their customers to unlock the value in their legacy technology environments, adapt to change and maintain the integrity of their core IT infrastructure. Cognizant’s global consulting team provides business, process, operations and technology consulting services to bring together the capabilities of all three of the digital practice areas into effective solutions for their customers. Consulting professionals and domain experts from Cognizant’s industry-focused business segments work closely with the digital practice areas to create frameworks, platforms and solutions that customers find valuable as they pursue new efficiencies and revenue streams. Cognizant has also invested in Centers of Excellence (CoE) with in-house expertise in Micro Focus technologies. Cognizant blends its experience and solid customer relationships with Micro Focus’s tools, frameworks and skills to deliver industry leading solutions to the customers.